Photography - Trial and Error way: Best Digital SLR for beginners? Canon T5i or Nikon D3400? Canon T6i or 60D? D3100 or D5500? I keep coming across such questions. Which DSLR camera to buy? Canon or Nikon? Or a Sony? Which model? Which one of the following is a better camera? Canon T5i, Canon 60D, Canon T3i, Nikon D5500, Sony NEX or Pentax K-5? Most first time DSLR buyers spend a lot of time in making sure that they make the right purchase. They keep debating for weeks if not months to find out which camera is the best. They would visit dpreview.com for detailed editorial reviews or Amazon.com for user reviews. They go on websites like snapsort.com to compare specs. Now if you are one of them and you are reading this post, I am going to make your life easy. By the way, by looking for the best camera in your first SLR purchase, you are not doing anything wrong. I did it too when I bought my first DSLR in 2005. However having bought and used several DSLRs and Hybrid/Mirrorless Cameras over last 2-3 years, I can say that all modern day DSLRs or Mirrorless are very capable cameras. You won't go wrong buying anyone of them. Here is one example. 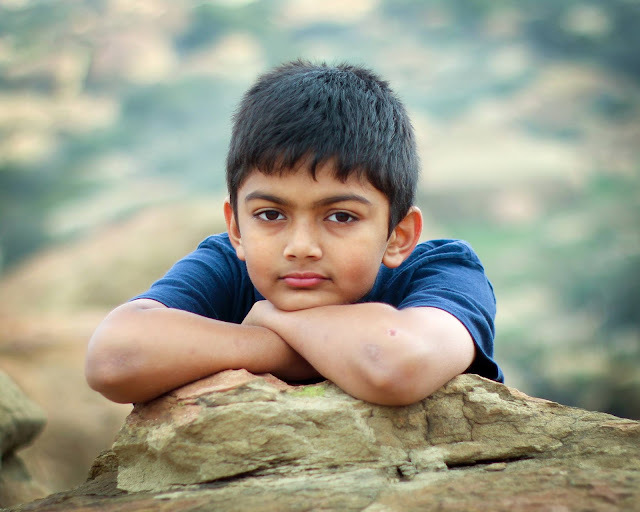 I took photo of my son Arian recently with Canon's worst rated camera- Canon EOS M and a 40 year old Super Takumar lens. We were hiking and I rarely take big bulky cameras on a hike. So I had this tiny camera with me and the photo that came out in my opinion is stunning. If you spend too much time researching or justifying a particular model, it is likely that you will not be happy in the end. Buyer's remorse is likely to haunt you. Even after your purchase, you will keep trying to justify it or feel sad that why you didn't buy the other model you were interested in. In reality, all modern SLRs have more than most of us need or will ever use. Please don't make your purchase unnecessarily complicated. The light, the photographer and then comes the equipment. In the equipment category too, I think camera lens is a more critical factor than the camera body when the light is low or challenging. This is generally speaking. I am trying to keep this simple and useful. If you go online, you will find a virtual war. People who have bought Canon cameras would recommend you a Canon DSLR. A person who has Nikon would keep bashing Canons!! I am often surprised to see why people become free sales-reps or marketers for these brands. They don't get paid by those companies! Then why do they fight among themselves like UCLA Bruins and USC Trojan fans? This puzzles me. It is good for the companies though. Who doesn't like loyal free workers/marketers? LOL. The only justification I have behind such consumer behavior is after having invested lot of time behind their own DSLR purchase, most consumers are probably still trying to justify if they made the right choice. So at every opportunity, they would stand up for the brand they have purchased. On Yahoo Answers, everyday you will see ten plus questions where a person is seeking an advice for buying the best camera. Look at the responses. Someone will recommend a Canon. Someone will recommend Nikon or Pentax. You will not find someone saying that Nikon and Canon both make wonderful cameras. So if a friend recommends you a Canon, don't blindly follow him. If a friend is not happy with Nikon, it may be because he doesn't know who to use or what to expect from a camera. Or he may be taking photos in low light. If you were to believe me, please note that Nikon, Pentax, Panasonic, Olympus and Sony- they all make equally good cameras. Specs may differ a bit here or there but their sensors, image processing engines are very powerful for most amateur users, like you and I. If you are a professional who will be paid for the photos, I am sure you are not reading my blog LOL. * All modern day cameras have very good sensors and are very capable cameras. You will not go wrong buying anyone of them. We strive to buy the best entry level digital SLR but 95% of us, yes 95% of us, don't use more than 30% of what a camera has to offer. Nikon, Canon, Panasonic, Sony, Pentax, Olympus- they all make very capable cameras. * A Nikon lover may say that Nikons have bigger sensor than Canons (22.2 x 14.8 mm for Canon vs 23.5-23.7 x 15.6 mm in most Nikon, Sony or Pentax cameras). If you see the numbers, it is only a marginal difference. This marginally bigger size in Nikon cameras doesn't prove that Canon SLRs are worse than Nikons!! If Canon T3i takes 5 fps vs T4i which let us say takes 7 fps. Should you care? Not really. Not 95% of us. Most of us rarely use this multiple shots features! Then why bother? * Every camera has some strengths or weaknesses. Product differentiation, right? Let me help you choose a right camera for you. You can fall in one of the following two groups. Group 1: Looking for the best DSLR out there. If you are in the market for your first entry-level SLR and all you want is to buy the "best" camera, go to a deal website like Fatwallet.com or Slickdeals.net and see which camera has a good deal. If you like that camera, buy it. As long as you use your camera in good light, you will love it. If you know what you are looking for, you have a right to choose your camera LOL. Make a list of things you need and you are allowed 4 to 14 hours to do your research to find out a camera that best meets your requirements. Don't spend more time than that. Now you can spend 40 hours or even 400 days to wait for the camera to be available in your budget. Or you can go on www.amazon.com and make your purchase. * Mirrorless or Hybrid cameras are as good as bulky DSLRs. However they are easy to carry around and people are more likely to give you more candid poses in front of a small mirrorless camera or awkward looking Pentax K-01 than in front of a professional looking DSLR. If you are an AUTO-only user, you should seriously consider latest Olympus, Panasonic or Sony NEX cameras. If you can look beyond Canon and Nikon, you should also consider Pentax cameras. They offer the best value IMO. I have photos with variety of cameras on my Flickr. Most of the photos are with cameras that costed less than $500 ;) See then below. Cameras Are Not Bad. Sometimes they are used in bad light. Or in bad situations. It is funny sometimes a prospective DSLR buyer not liking Canon T4i because his friend is not happy with it. Ironically, his friend may be using the camera, without knowing anything about it, in AUTO mode indoor or in low light. No entry level camera will do a good job in low light unless you know to boost up ISO or use a fast lens or a tripod (if you are shooting a landscape or a sun-set). A $100 camera, 5-6 year old model, off of eBay will take as good photo as a $1000 camera in outdoor good light. Even your iPhone will take good photos outdoor. However start using the same camera indoor or in low light and you will see most cameras start failing miserably. Doesn't matter if it is T3i, or D3200. Or even T6i!!! Instead of searching for "best DSLR", you should spend your time to learn things that can help you take better photos with your camera. 1) Read photography blogs or tips online to be a better photographer. Any camera can do only limited things but with some tips, you will be able to take your camera to the next level. You will have better chances for better photos. 2) Buy some prime fast lens like 35mm or 50mm with F1.8 or so. For Canon or Nikon, you can get one for around $100-$150. With this lens, your DSLR will be able to take photos in low light too. Plus for taking photos for people and pets, they give nice bokeh- background blurring that you see in portraits taken by professionals. 3) Read your camera manual. You will be amazed to know how much your camera can do besides that AUTO button. 4) Work with your camera. Your camera can do only certain things for you. When you are taking a photo, it tries to guess what it is shooting and would set up Aperture, Shutterspeed, ISO, color mode etc to shoot a photo for you. Many times that piece of glass (I mean lens) and that sensor does not know that you shooting in backlight or in snow. It does not kow if you are taking photo outside in broad sunlight or indoor well-lit place. If camera does not know accurately what it is shooting, it will probably give you a bad photo. Now instead of blaming your camera for a bad photo, if you are willing to work with your camera, your camera can take better photos for you. Learn some basic photography tips and help out your camera when it struggles. Set a proper mode like Portrait, Landscape, Macro, Sports and tell your camera where and what you are shooting. If your camera takes too bright or too dark photos, set the Exposure Compensation and tell camera to take less or more light. With your little help, you and your camera can make a great pair and together you will be able to take better photos. Enjoy Photography. If you like this article, please share it on Facebook or Twitter. Free your friend who is deciding for last 6 months whether to buy Canon T6i or Nikon D3400! I just would like to leave a tip for complete new DSLR future customers... If you plan to buy lenses, like the 50mm/1.8, please check its price before you buy the camera! There is a trick here. Nikon entry level cameras (D3XXX, D5XXX...) do not have AF motor in the camera body. It means that you must search for lenses that has this motor (AF-S). In other words, it is going to cost 2X more than a lens without this motor, like Canon or even Nikon AF lenses. Nice blog. Great review. Thanks for sharing for top digital cameras.